Big Flower - HUGE Leaves! 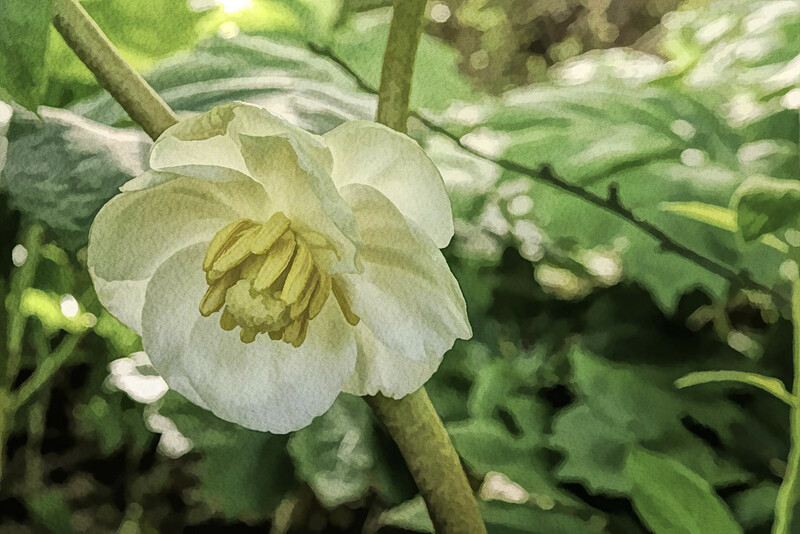 I've never seen a Mayapple flower before - or should say, I'd never looked below these huge - at least 18" I'd guess - leaves to know there were flowers under them. Just really beautiful. We are expecting baseball size hail tonight so any flowers we have will be gone by morning. I love the way you've processed this! Wow - Beautiful! Also love the processing! pretty processing :) that is huge! Great shot and fabulous processing. This is really pretty. Nice processing. So pretty and lovely processing. Interesting flower hiding under those huge leaves. Glad you looked. I dare say most people don't know they flower.